The Social Justice series has been highlighting the power of social media and it’s impact on brands and societal issues over the past several months. Today we decided to pivot slightly and focus on the social good brands and companies are carrying out, sometimes quietly, in the course of doing business. This week I’m putting the focus squarely on The Hershey Company, a brand that is well know throughout the Americas as a juggernaut in chocolate and confectionery. What is not so well known about the company is how much social good it does, and that it funnels on average $180 million per year to one of the most remarkable philanthropic and long lasting institutions in the US. Nearly 90% of The Hershey Company’s (THC) nearly $6 billion in revenue comes from the US market, although it sells in over 50 countries and has publicly stated its directive of becoming more of a global company. The man who founded the then Lancaster based company in 1894, Milton Hershey, would probably not be surprised at its growing success, as he was an uncommon visionary. Milton Hershey was a pioneer of confectionery, and in 1900 began mass producing milk chocolate. 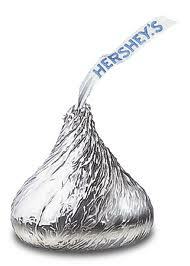 By 1905 he had built his new, state of the art factory in the land of his birth, Derry Township PA., and founded what is now known as Hershey. During the 2+ year period of 2010 – 11, The Hershey Company faced quite a few negative PR uproars that were carried and magnified on the wind of Social Media. 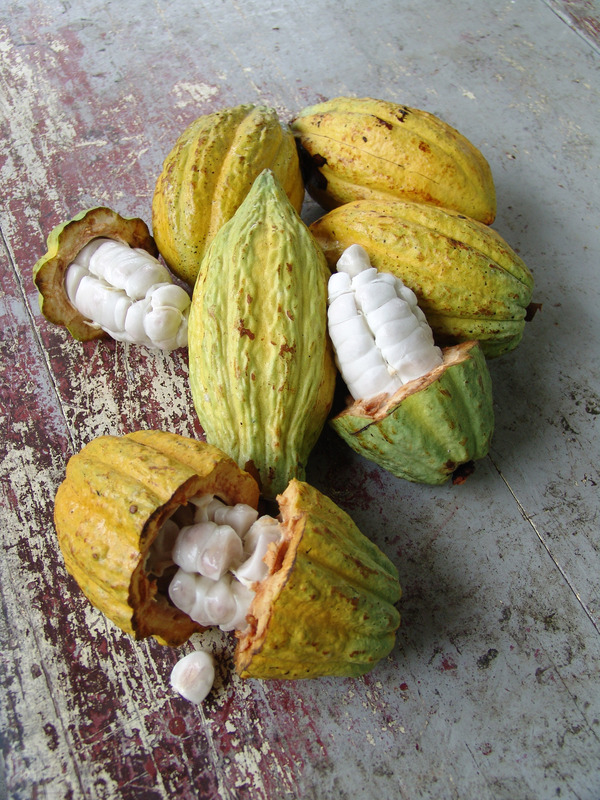 In 2010 THC was publicly held responsible for its lax attitude to child labor, and its labor conditions in general in West Africa, the source for some of its cocoa and where 70% of the world’s cocoa is grown. Protests against THC included a gathering in Times Square in front of the Hershey’s store, and social media campaigns. In 2012 The Hershey Company faced lawsuits in relation to these accusations. The Hershey Company was slow to react on social channels on these charges, which allowed them to build. 2011 saw The Hershey Company dealing with a PR problem on a scale they had never seen before; when Milton Hershey School, THC’s main benefactor and the owner of the controlling shares of the company, refused admission to an HIV positive student, the story blew up on social and mainstream channels. The school spoke of concerns about the confidentiality conditions the child’s parent demanded, even in regards to the staff charged with caring for the child, but that did nothing to quell the outrage. The story culminated with a blistering interview of the school’s then PR director on Anderson Cooper; the story was everywhere, and the target of the outrage was rarely the school, but rather, The Hershey Company. Eventually, the school reversed their decision and settled with the child after his family denied their offer of admission, and the story faded, but it showed how vulnerable THC was to organized protesters wielding the might of social media. In 2009 The Hershey Company published their first Corporate Social Responsibility Report that outlines the company’s goals for social good and ethical business practices; not much was heard about the company’s work towards social responsibility as it faced condemnation on other fronts in the years mentioned above. 2012 saw the lowest incident rate ever in regards to accidents at work. In 2012, with funding from The Hershey Company, Project Peanut Butter (PPB) announced that it will make and distribute vitamin enriched nutritional packets to impoverished children in rural Ghana. Taken together, the programs supported by our 21st Century Cocoa Plan are expected to directly impact 750,000 cocoa farmers and indirectly benefit more than 2 million West Africans by providing access to technology, farmer training, cocoa seed nurseries and planting material, farm inputs on credit, village resource centers, and health and education programs. Any graduate of Milton Hershey School will tell you that they’ve come to expect that the vast majority of people they meet will never have heard of MHS. Founded in 1909 by Milton and Catherine Hershey, it is the true legacy of Milton Hershey the man, and the accomplishment he was most proud of. Founded in 1909 as the Hershey Industrial School, HIS took in its first 4 orphan boys in 1910; the boys lived and attended classes at the school. After Catherine’s death, Milton Hershey gave his entire fortune to HIS in 1918, and he continued to be heavily involved in the school until his death in 1945. The school was renamed in his honor in 1951. Since its inception, Milton Hershey School has graduated over 9,000 students, and has roughly 7,500 living alumni, of which I am one. The school currently has over 1,800 children, and is on a growth plan to achieve 2,000 students in the near future. It is no longer required that the students are orphans; the school now serves children in financial need. To learn more about MHS’s admission requirements here. Milton Hershey School is run by the Milton Hershey School Trust, and is also in charge of the Hershey Trust; together, they share the controlling interest in The Hershey Company. The school’s endowment is fully funded by The Hershey Company, which makes it singularly remarkable among US businesses. What this means is that every single Hershey product purchased benefits one of the most amazing philanthropic institutions in the US. My arrival at Milton Hershey School in 1979 as a 5th grader, like so many of my fellow alumni, was bittersweet. My mother abandoned our family when I was 3 months old, and my father was in prison. I was however, very lucky; my grandmother was a remarkable woman, having graduated from college in 1925. She took me as a baby, and for most of my early childhood I enjoyed a pleasant if eccentric home. She had given birth to my father late in life, so by my 5th grade year she was well into her 70s, and she was haunted with concern over what would happen if she passed away – there was no on else in my family who would care for me if she died. In 1977 she made the heart wrenching decision to send me away to MHS. As I watched her car pull away from the student home driveway, I fought back tears; it was a scary and lonely thing for a 10 year old to face. But it was the first time in my life I knew that I had a safe place to live until I was old enough to fend for myself. It took years for the homesickness to go away, but I am grateful everyday for the brave decision my grandmother made. Like almost all of my fellow alumni, the best friendships I have to this day were formed at Milton Hershey School. Not only did I get a college degree funded by MHS, I was given a family of fellow ‘Milts’ who are the most loyal people in my life. When you read about the Milton Hershey School, and about how a big percentage of the profits of the The Hershey Company’s $6 billion in revenue goes to the school, one thing is not always obvious: that the good is being done for real individuals. 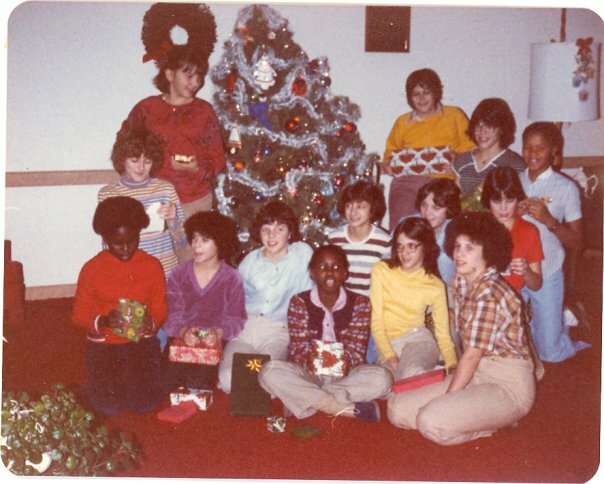 The picture to the right is of the 14 girls in my student home in 1981 celebrating the holidays with our houseparents, the Nelsons. Each one of the girls in that picture had their lives transformed by Milton Hershey School; not all of us made it to graduation, but each one of us was made better by having attended the school, no matter how briefly. My story is not unique; there are thousands of us out there, making our way while we end the cycle of poverty and dysfunctionality we were born into. All of this was began by Milton Hershey himself, but The Hershey Company and its success is what has allowed the legacy to grow. Amy – a truly wonderful post. ajenkins Thanks Andrew. Most people have no idea that The Hershey Company is connected so closely to Milton Hershey School. Some days, it seems like only the bad stuff “goes social”. The good deeds slip by quietly, but may impact people who in turn may impact the world!